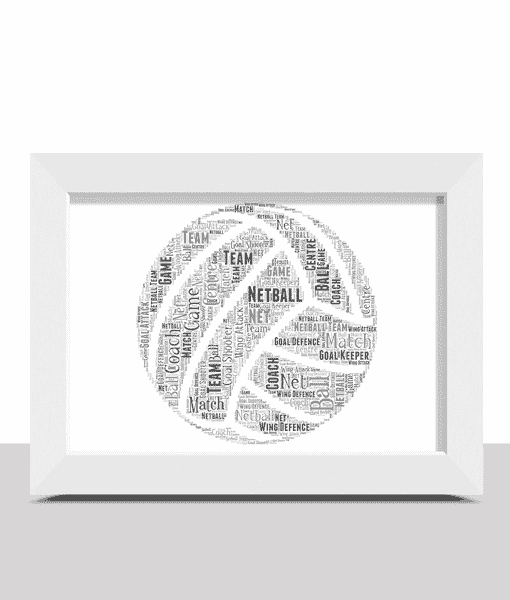 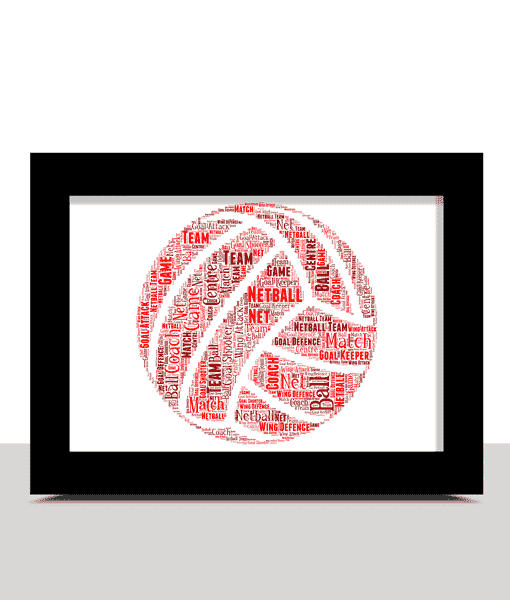 Add all your own words to create a personalised netball shaped word art print. 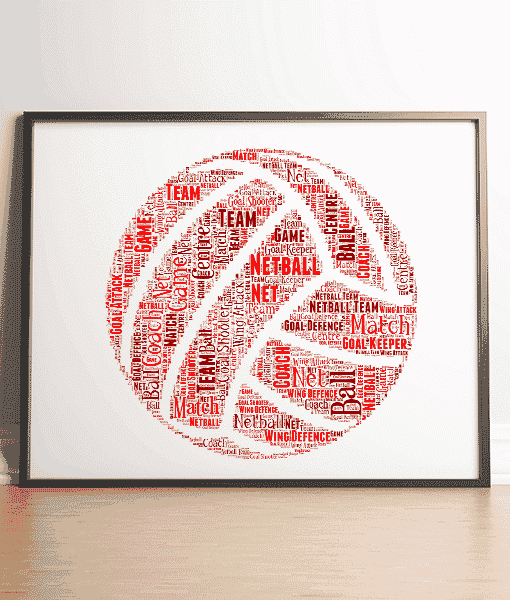 Create your own netball shaped word art print. 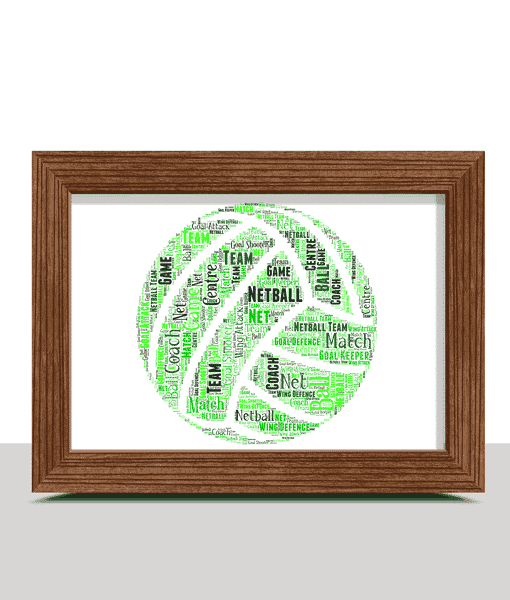 Makes a lovely personalised gift for a netball player or as a great art display for a netball club. 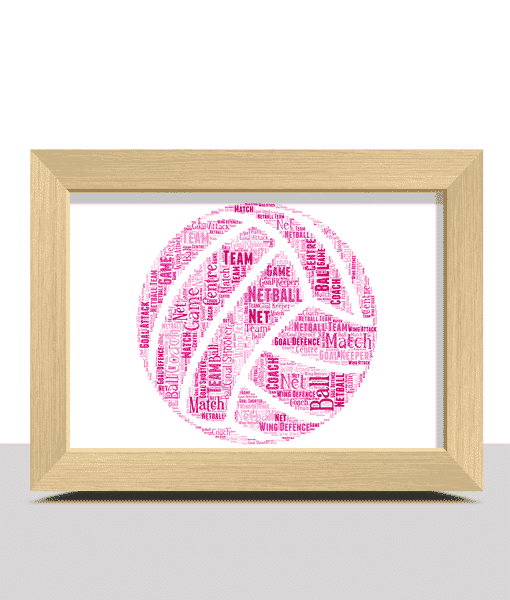 Example: Netball Team, Goal Shooter, Wing Attack, Goal Keeper, Champions, Goal Defense, Top Scorer, Goal Attack, Best Team, Centre. 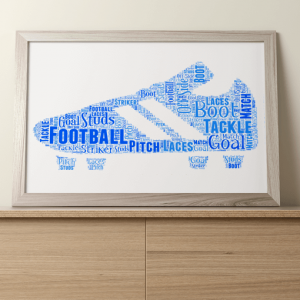 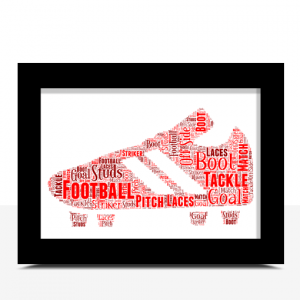 Add all your own words to personalise this football boot word art print. 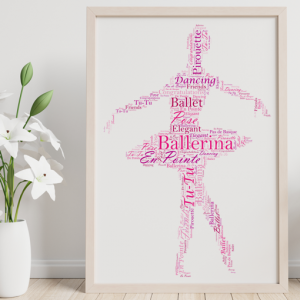 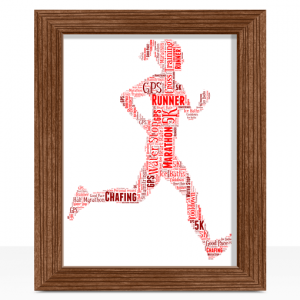 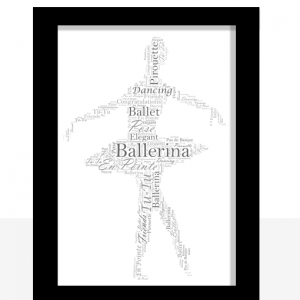 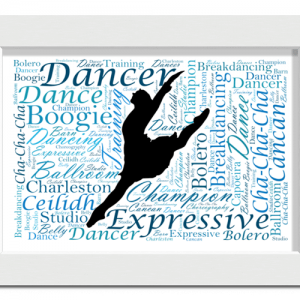 Personalise this Dancer Silhouette Word Art Print with all your own words. 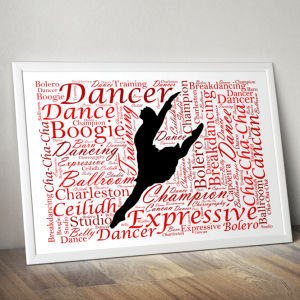 Makes a great gift for a dancer or dance group.